We are excited to announce the release of our Community Workshops & Training Catalog (Winter/Spring 2019).You’ll notice some changes in the catalog this year due to the condensed calendar of trainings and a more printer and web friendly program since we are no longer mailing the catalog. 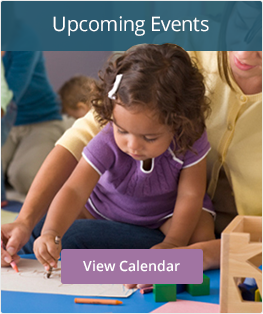 You’ll still find lots of upcoming local trainings, information and links to other conferences and trainings in the area, as well as approved vendors for trainings required by Child Care Licensing. Take advantage of early bird registration for many of our trainings by registering and paying by the early bird deadline. For any questions about registration or upcoming trainings, contact Tori at [email protected]. We hope to see you at an upcoming training soon!